For twelve-year-old Zack Ross, life revolves around Little League. The 1971 season is his last chance to win the championship and with the help of a new power hitter named Rafer, that just might happen. Though Rafer is a little different, he can hit a baseball farther than Joe DiMaggio, and Zack knows that's exactly what the Robins need to win it all. As the season gets underway, it seems like nothing--not Rafer's differences, the war in Vietnam, or the attention of a girl named Rebecca--will deter Zack and his team from their goal. But little by little, Rafer begins to make an impression on them all, giving them small gifts that seem awkward at first but are soon overshadowed by a gift they never saw coming--a miracle in the making. When Rafer is suddenly hospitalized, the team bands together, determined to stand by their new friend, determined to win the trophy in his honor. Larger questions of faith and love trouble Zack's mind, but in the end, he will see there's more to life than winning or losing. And years later as he looks back, he will finally understand the real miracle of the season--the gift of God's grace. 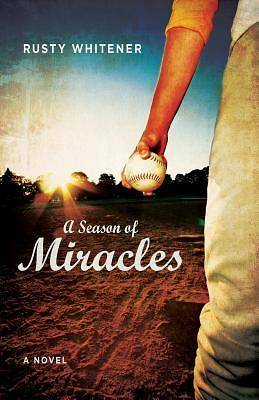 "A Season of Miracles" is a compelling story of a friendship characterized by differences and of grace despite flaws. At times hilarious and at times tearful, it will bring southern fiction fans back to the simpler days they've long forgotten--and will never let them go.